However I have to be honest that since I’ve grown up my Paris fascination has faded, don’t get me wrong I would still very much like to visit some day but it’s actually the South of France that I really really want to go to. It seems like such an eclectic destination where I could find all of my favourite things. 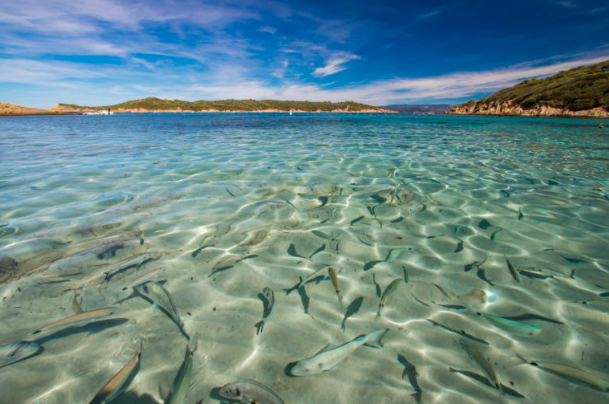 Southern France has stunning lakes, lusciously green countryside, golden sand beaches, fishing villages and chic cities. It actually wasn’t until I met a french girl whilst travelling around Thailand that I realised that Southern France had all those things and more on offer. There are so many different options for holidays in France*, whether you’re looking for adventure or a tranquil setting to relax, reflect and recharge France has it all. I’ve decided to check out some travel blogs for inspiration to find some places in Southern France to add to my travel bucket list. 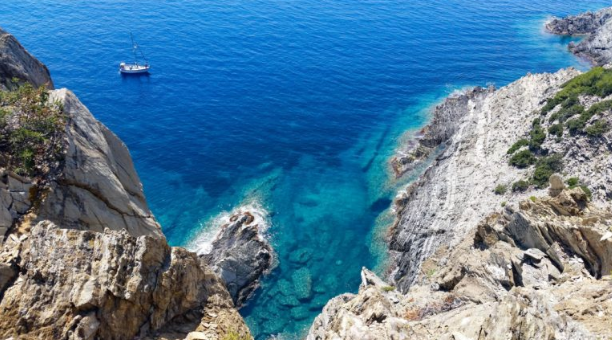 After reading a post about secret beaches by the awesome French travel blogger from Itinera Magica, I know that I simply MUST visit some of these beaches myself. She states that the beaches on the French Riviera must be added to everyone’s bucket list and after seeing her stunning photos I can see why. The waters are a beautiful clear turquoise surrounded by stunning limestone cliffs . In this post she recommends the post popular beaches and also shares her favourite secret spots if serenity and quiet is more what you’re after. Although I love the sea, deep down I’m more of a lake kind of girl. I like knowing that I can enjoy having a leisurely swim without having to worry that the waves might pull me under, and I like not having to worry about my skin feeling dry from all the sea salt. In other words really love swimming in lakes. 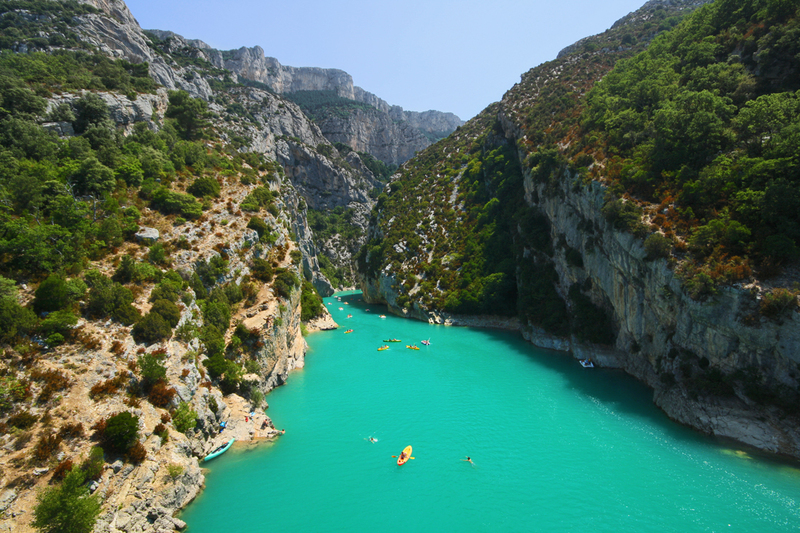 Les Gordes du Verdon is a beautiful canyon in France which is about 25 kilometres long and up to 700 meters deep. You can go on hikes, go kayaking or swimming in the crystal turquoise waters of lake Lac Sainte Croix. It’s known as one of the most beautiful places in Europe and I can definitely see why. I have officially added this place to my travel bucket list. Itinera Magica has another amazing article about Les Gorges du Verdon and other beautiful mountains of Provence so do check out her article for more inspiration. Antibes is a seaside resort town which seems to be full of charm, beautiful architecture and amazing views. I found this post about Antibes, full of useful information and gorgeous photography which has made me really want to visit! I would also love to visit some beautiful vineyards whilst in France! Have you got any recommendations? Are there any other places I should definitely add to my list? Also if you’ve written or read any useful posts about Southern France please do send them my way! I went to the South of France a few years ago and I absolutely loved it. Have to go back. We stayed in a town called Ramatuelle which was really close to St Tropez and it was absolutely gorgeous. I just love St Tropez and the beaches, and I visit Cannes which was amazing! Ah I'm like you, I love Paris! I've been a few times and basically there's something about just being in Paris makes me feel all happy. However, I'm dying to visit the south of France too! All the little towns sound like and absolute dream! Wow, ok you've really sold the south of France to me! It sounds so dreamy! I'd love to go and visit but it's just somewhere I've never got round to visiting - like 99.9% of my travel goals! Never been to the south of France either but it does sound amazing!! Another one to add to my holiday hit list! !